The author talks about the village that inspired her Shores mysteries series. 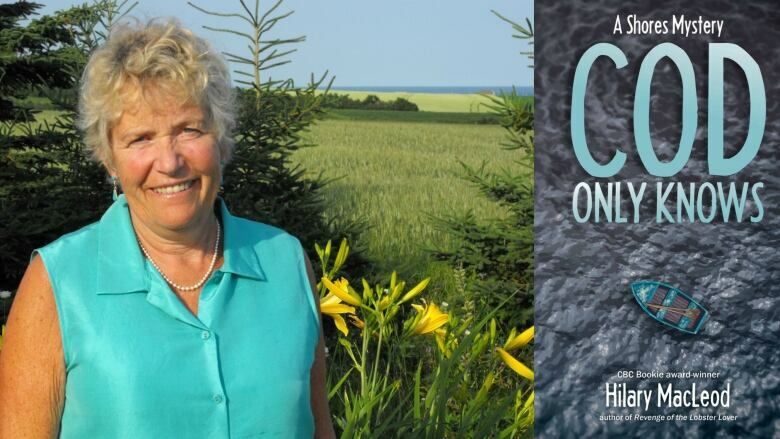 Hilary MacLeod spends her summers on Prince Edward Island, in a small community called Sea View. This was the inspiration for the community she created for her Shores mystery series. She's written six so far and the latest is Cod Only Knows. This segment originally aired on March 5, 2018. "I'm from Scotland. I first visited Prince Edward Island when I was 16 and I thought, 'Oh, it's just like home.' I longed for it for another 25 years after that, but I would visit often. On one particular occasion, I was making a move from New Brunswick to Ontario and I went to the island for a week. I came upon this little house by the side of the road that looked good enough for me." "For 20 years, I did everything but write. Finally, I sat down to write the first book and that was 10 years ago. I realized that the 20 years had not been wasted. In those years, I learned about the people, I incorporated their language. I could hear them talking. I understood their sense of humour." "Everyone has an upside down clay pot on their front porch with the key to the house underneath — and everybody knows that. This all sounds very idyllic, but in fact it's not. Yes, the town's people have their little petty jealousies and they have people who are not all that savoury, but actually the murderers are all from away and the ones who get killed are also from away. Although, there are some ancillary deaths of other people — villagers, sometimes — because I just can't stop myself from suddenly killing somebody." Hilary MacLeod's comments have been edited and condensed.